A brilliant review from Emma! Showing us that good customer service and robust security measures are both important. Well done to First Direct for providing a first class service. 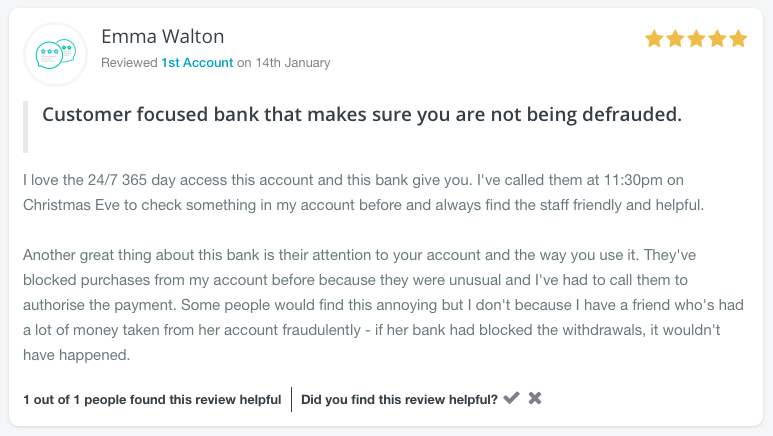 Leave a review on any of your banking or insurance products, and your review could be featured here next week! Our mission is to increase trust and transparency in Financial Services. Your reviews can help to make this happen! Thank you for all your reviews so far.